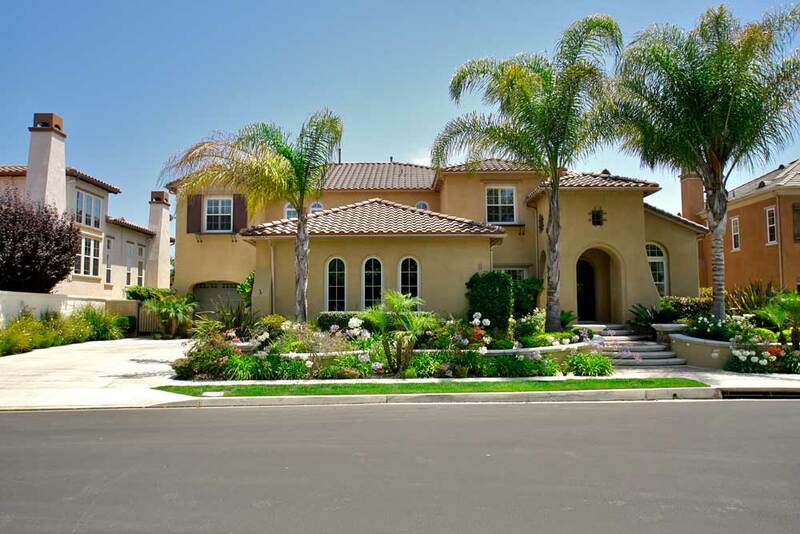 Vizcaya is one of the premier neighborhoods in the Talega area of San Clemente. The community itself is very small with 14 luxury homes located on one cul-de-sac street. The homes were one of the first communities built in the Talega area as the homes were constructed in 2001, just two years after the entire Talega area came to life. These are multimillion dollars homes that are very generous in size and average over 5,000 square feet. The homes are built in the grand Mediterranean style with large backyard with luxury resort style pools. The Vizcaya community sits directly on the Talega golf course with spectacular golf course and valley views. It's not uncommon to find homes with wine cellars, outdoor loggia's with pool and spas. When you buy a home in the Talega area it's important to remember that homes due have an additional Mello Roos tax in addition to the normal association dues and property taxes. Each neighborhood is different so it's advised to check with the city on the exact cost and duration of the Mello Roos bond. The community is ideal for those looking for a luxury golf course view home in San Clemente. For any questions regarding this community please contact any of our San Clemente Real Estate experts who will answer any questions you may have regarding Vizcaya homes for sale. Vizcaya is a community located in beach community of San Clemente, California.